Business continuity planning is seen today as a vital and integral activity for companies large and small. Hoping for the best without preparing for the worst is a dangerous red flag that company owners, management, financial backers and local government officials see as short-sighted and extremely unwise. 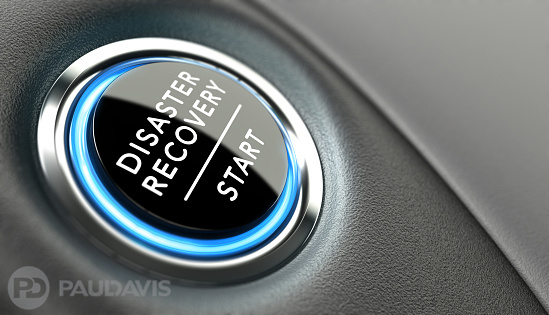 Paul Davis companies within their trademarked program called First Priority® are putting into action years of experience throughout North America to the betterment of companies that might suffer property damage and area-wide catastrophes. There is no cost associated with First Priority, service pricing is contractually guaranteed, and in area-wide catastrophe situations, First Priority accounts have first-in-line status. With keenly developed avoidance and recovery plans, guidance to customer company management, plus free staff training programs for customer employees who take part in First Priority, the program is prompting more and more companies to sign up. When company management learns that the First Priority program is completely free of charge and provides so many enhanced benefits, it becomes an astute decision. If the First Priority program is new to you, here’s a snapshot of benefits. Comprehensive program development in conjunction with insurance underwriters and company management. Pre-approved pricing for full damage payments during a future loss. Facility inspections by Paul Davis, with detailed write-up of necessary emergency plans. Invitations to First Priority online training programs for customer personnel. Semi-annual meetings that update all parties and identify new needs. Emergency information distributed to all First Priority customer facility staff. First Priority Hotline. One round-the-clock 800 number to call. Disaster recovery teams on site within 4 hours, maximum. Comprehensive, proactive services to minimize losses. Proactive service during major area-wide catastrophes for business continuity. Interested in learning more about First Priority? Visit First Priority Program or call 1-800-661-5975.